[prMac.com] San Francisco, California - MacAppware, a division of 128bit Technologies, has announced an update of 5 new fonts to their popular free Halloween Fonts. The new free fonts collection is available on the MacAppware website, or on the Mac App Store under the name: Halloween Fonts - Free Commercial Use Holiday Fonts. 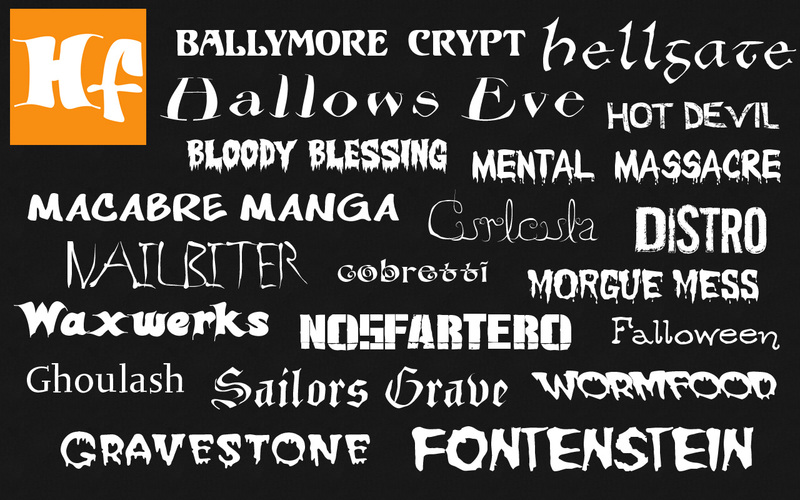 These Halloween fonts are different from other font collections you may have purchased or downloaded recently (Premium Fonts, Free Fonts, 1000 OpenType Fonts, Free Fonts - Christmas Collection) and are an excellent addition to any font collector's library for use in graphic design, web design, party signs and invitations, banners, promotional material, advertisements, newsletters, application development and more. Halloween Fonts 4.0 is free and available for Mac and Windows. If downloading from the Mac App Store, you can find the fonts as Halloween Fonts - Free Commercial Use Holiday Fonts in the Free section of the Graphics & Design category. If downloading from the MacAppware website, the fonts will download in a zipped folder allowing you to use the fonts on any Mac or Windows computer.